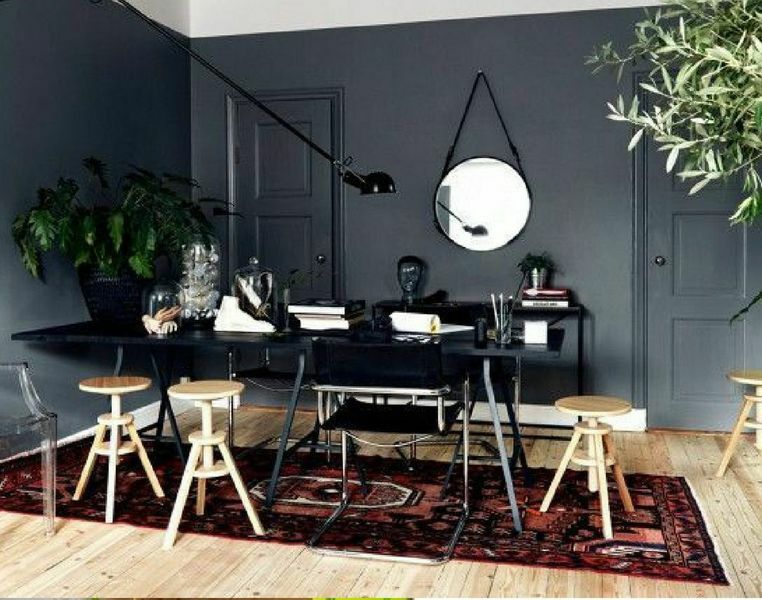 Go for incognito doors and paint them the same color as your walls, like in this moody all grey abode. 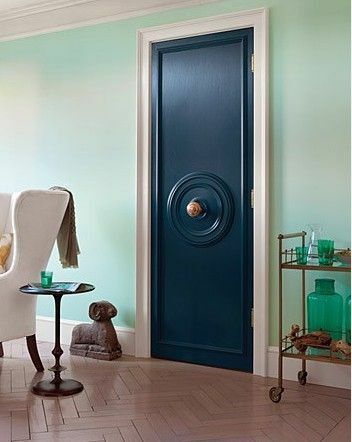 Play with different hues within the same color family for a sophisticated feel. 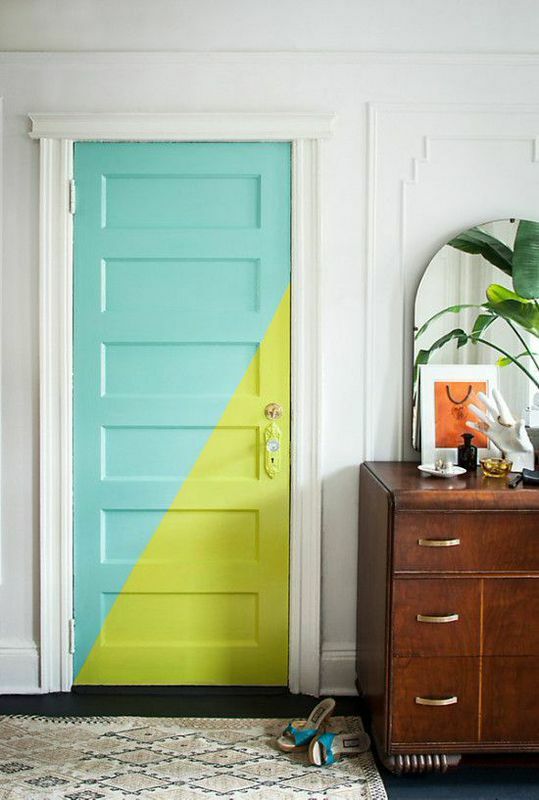 Rich colors make a serious impact against white walls and are a happy medium when you can’t commit to all over wall color. 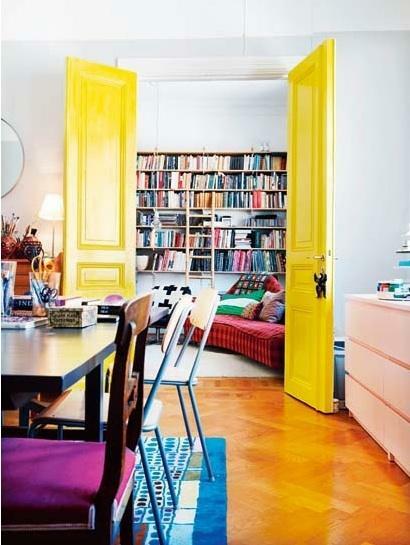 Try yellow doors to add immediate cheer to a room. 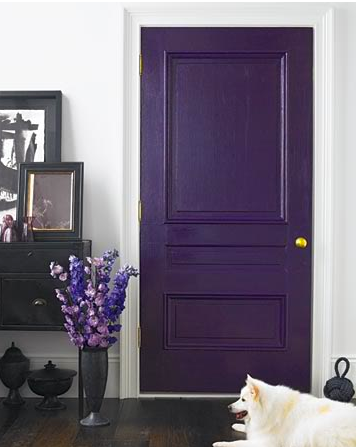 Juxtapose more traditional wallpaper with a statement making citron door. Can’t decide on a color? Try two!